We were shocked to see ads for illegal Israeli settlements on Facebook. The establishment and expansion of settlements is considered a war crime. Settlements are a main cause of violence and discrimination in the region. Facebook's advertising guidelines state that "Ads may not constitute, facilitate or promote illegal activity." We therefore call upon you to ban all advertisements for settlement homes or settlement based products from showing on Facebook. Facebook is running advertisements selling settlement homes located on land stolen from our friends and families in Palestine. But if we take action now, we can stop it. Thousands of Israelis and supporters of the occupation have seen ads on Facebook - the world’s largest social network - offering them to buy homes in settlements like Modi’in and Ariel. These settlements are symbols of discrimination and violence that we’re all struggling to put an end to. Facebook’s ad guidelines say it’s prohibited to run ads offering illegal products. Settlements are not just illegal, the process of building and populating them is considered a war crime by the international community. We can make Facebook remove these ads and prevent similar ads from showing up on their page: If 10,000 of us sign this petition, Avaaz will create a media storm that will reach millions of Facebook users, increasing the pressure on Facebook’s executives. Similar campaigns have succeeded in getting Facebook to remove ads for illegal and offensive products, and it will work for Palestine if enough of us join this campaign. We need all your voices to win. Facebook's guidelines prohibit advertising related to illegal activity because they know it can do harm above and beyond the original crime. This is even more true when the crime is ongoing, and costing lives everyday, like in Palestine where settlements cause forced displacement, violence, and entrenched poverty. Some argue that there shouldn't be limits like this on free speech, but the guidelines for ads in Facebook's own rules seek to protect the very life and livelihood of all people, and the Palestinian people should not be excluded from this protection. 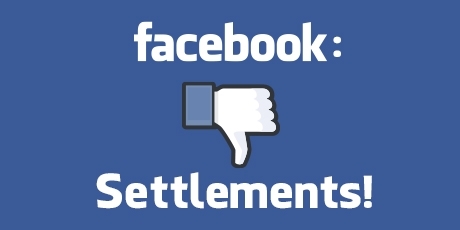 Sign the petition calling on Mark Zuckerberg, the founder of Facebook, to ban all ads offering settlement homes, so that these ads stop showing up on the social network.